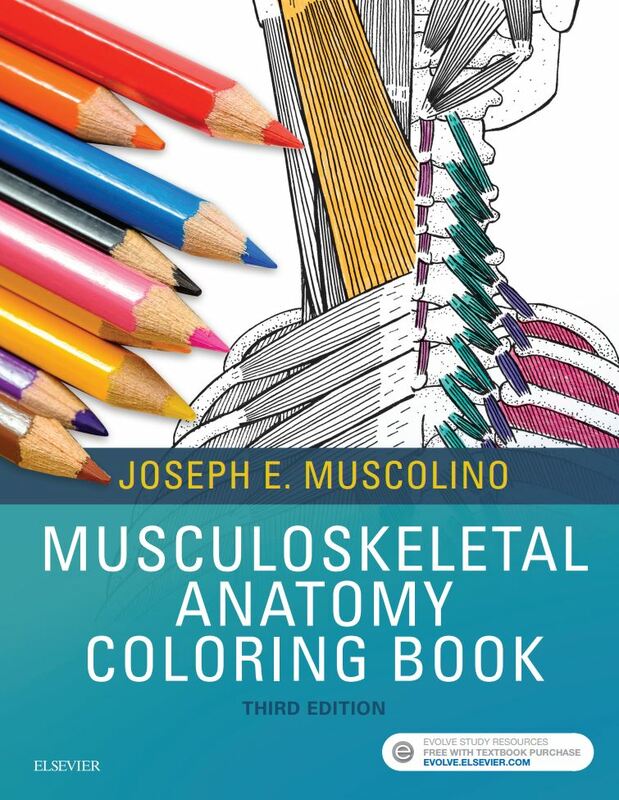 Dr. Muscolino: I am taking an anatomy class and I just could not learn the muscles because I couldn’t figure out their origin and insertion bones. 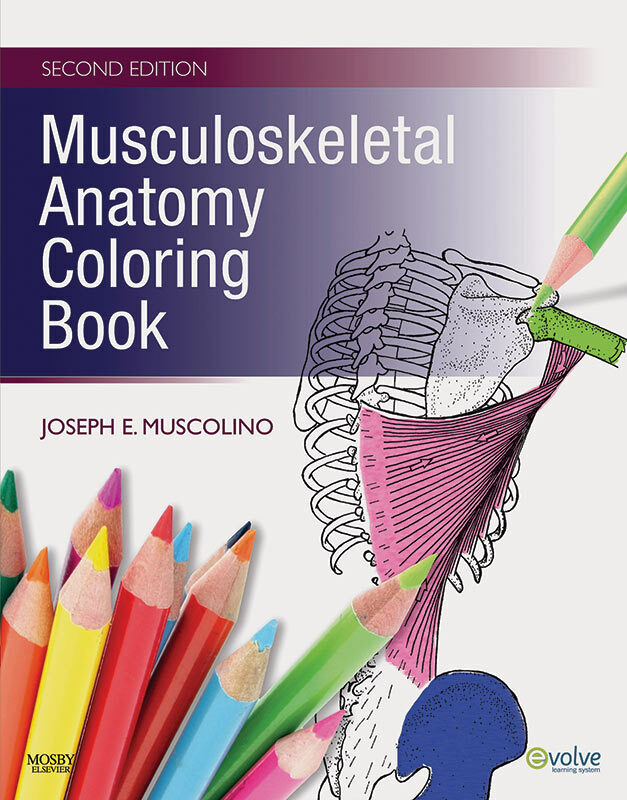 I found your Musculoskeletal Anatomy Coloring Book at Borders Bookstore today. I went home and made my own flash cards drawing pictures, etc. When my husband came home, I was able to explain about 30 muscles to him using a skeleton that I have. He is a physician and he did not know all the bone attachments that I had figured out using your book. Your book is just terrific. Thank you so much for writing it. I haven’t found anything like it to help learn muscle. Many anatomy books have tables where the origin and insertions are given, but it is so much better to look at your drawings.Fiona G., Ph. D.
NEW! 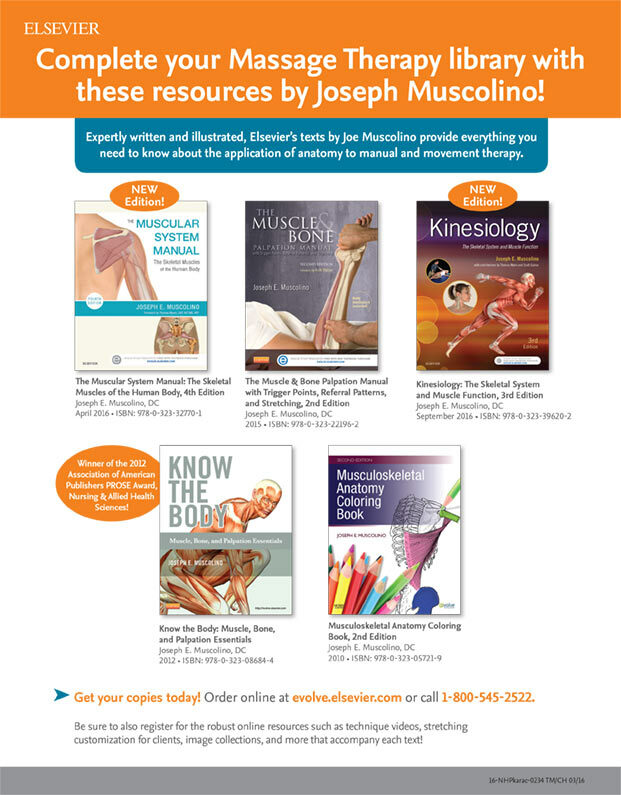 Online access to The Muscular System Manual, 4th Edition’s Evolve site, enhances your review experience through interactive study tools including videos, The Interactive Muscle Program, practice test questions, Name That Muscle exercises, and more.